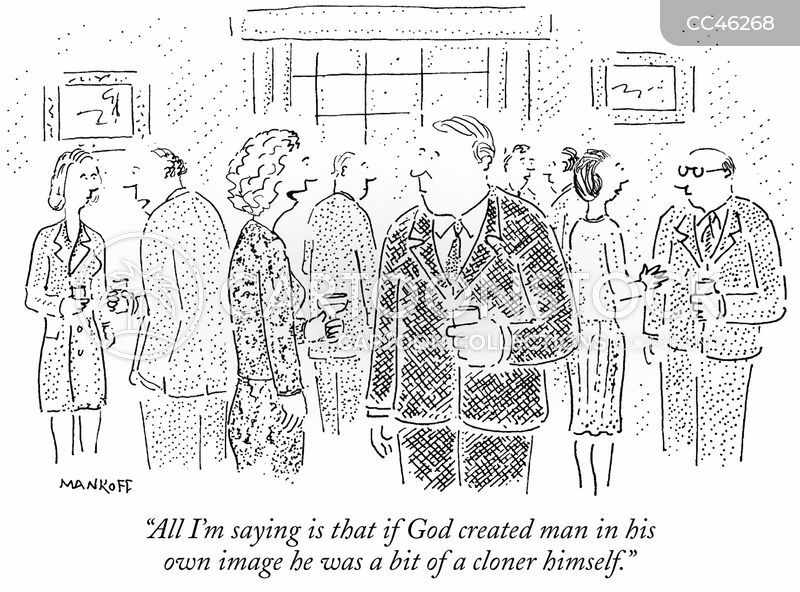 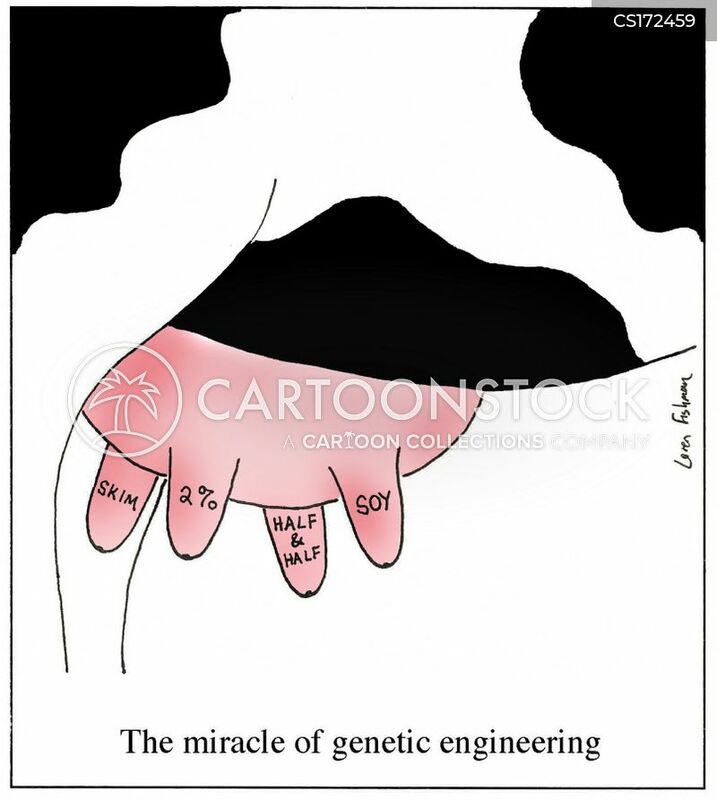 "All I'm saying is that if God created man in his own image he was a bit of a cloner himself." 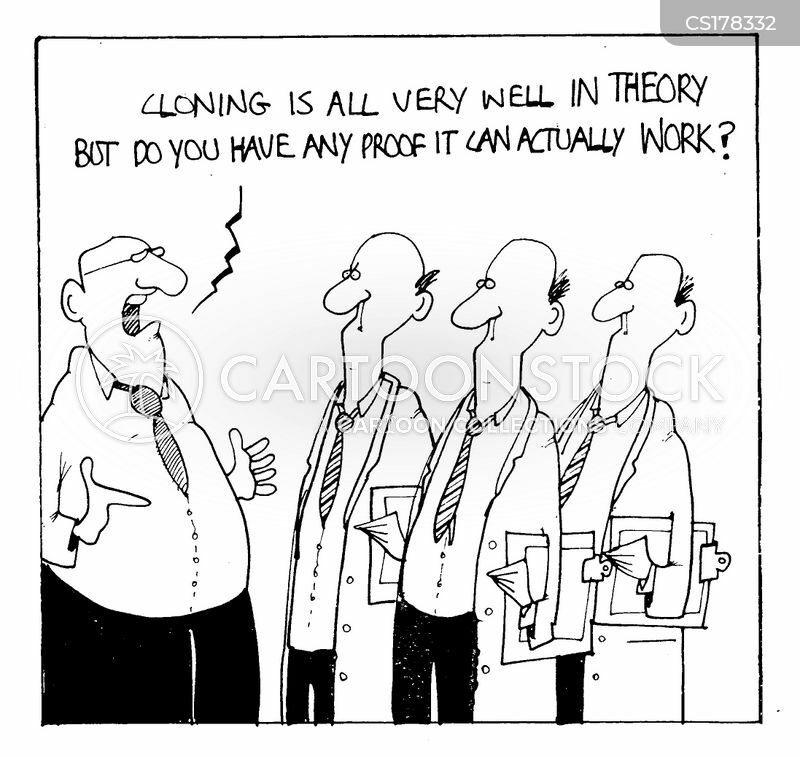 Gifts for a cloned baby! 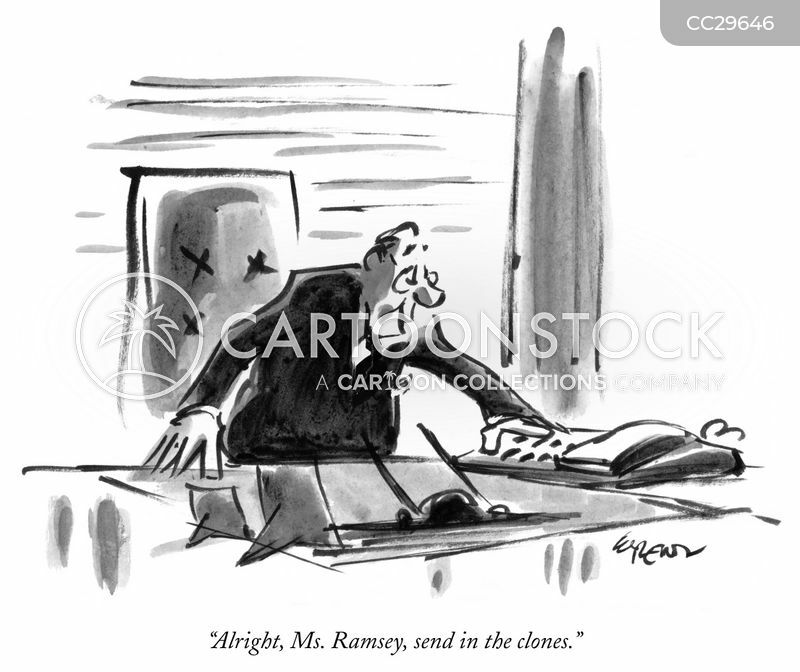 "Alright, Ms. Ramsey, send in the clones." 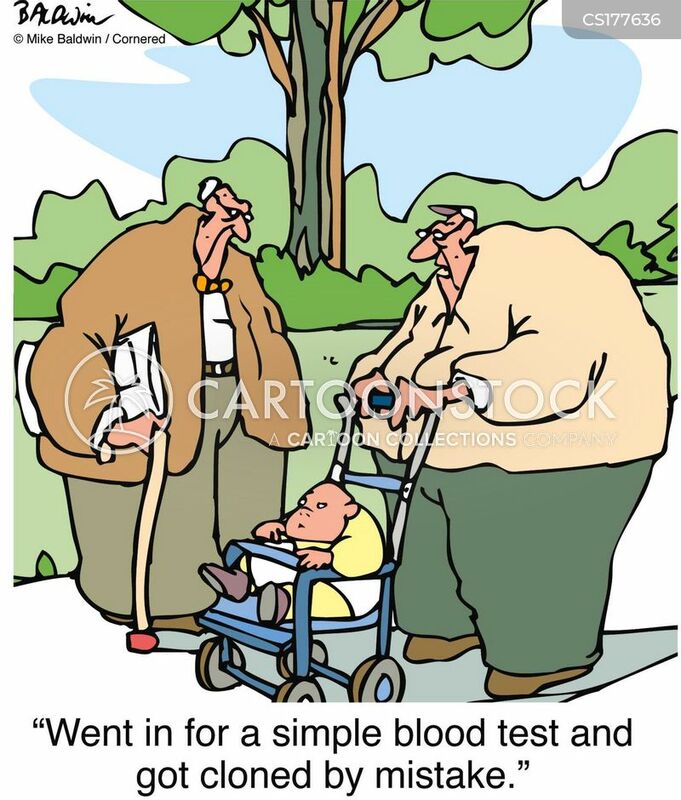 "Don't kill it! 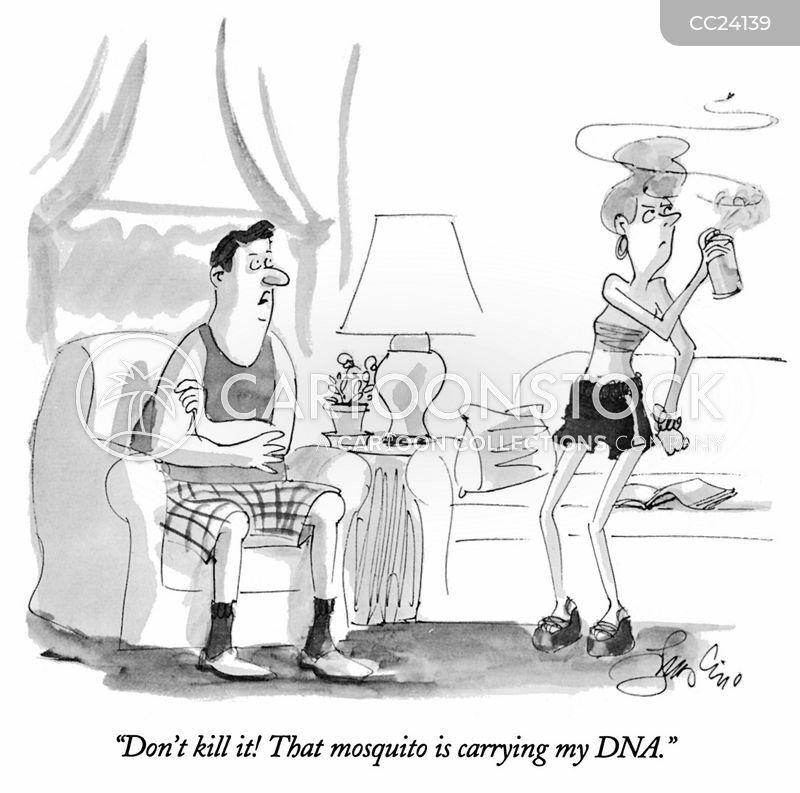 That mosquito is carrying my DNA." 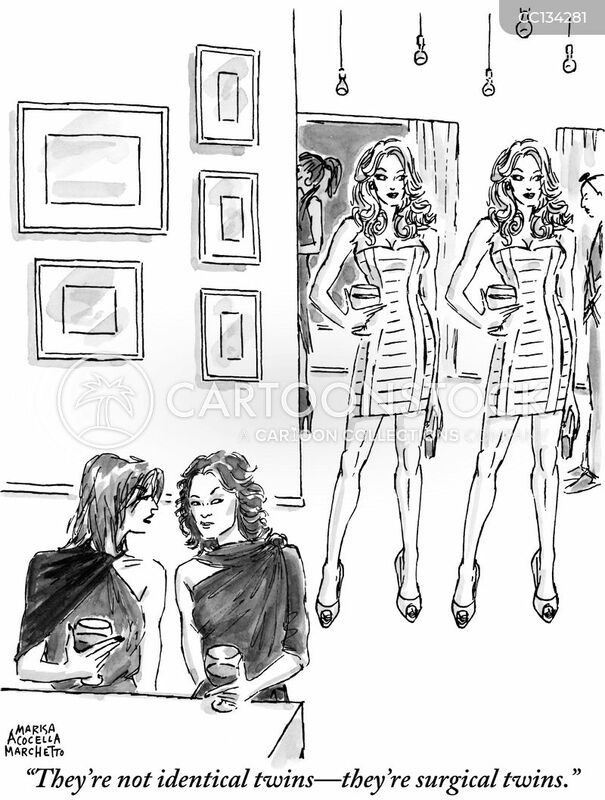 "They're not identical twins—they're surgical twins." 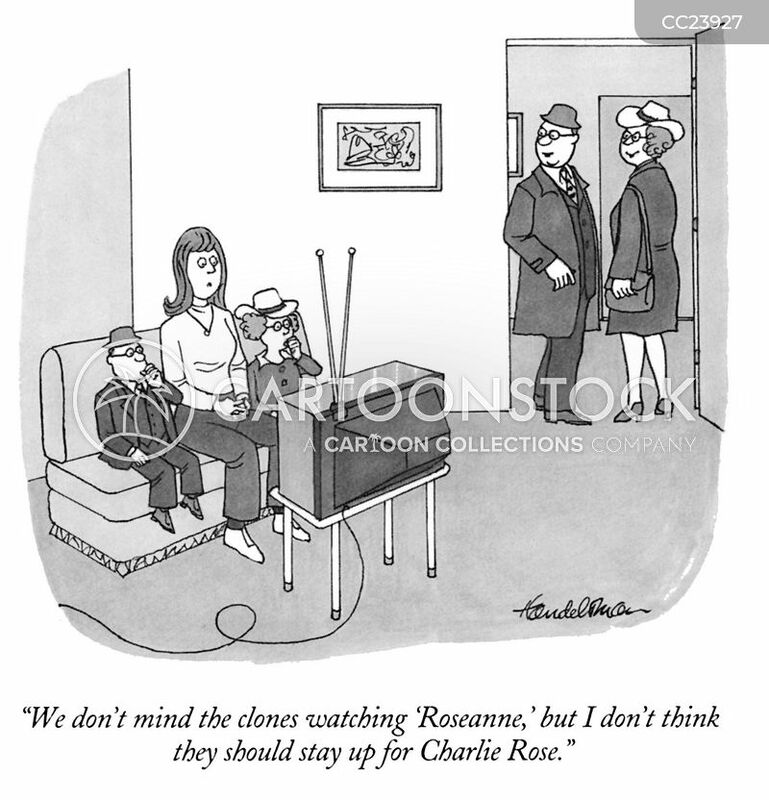 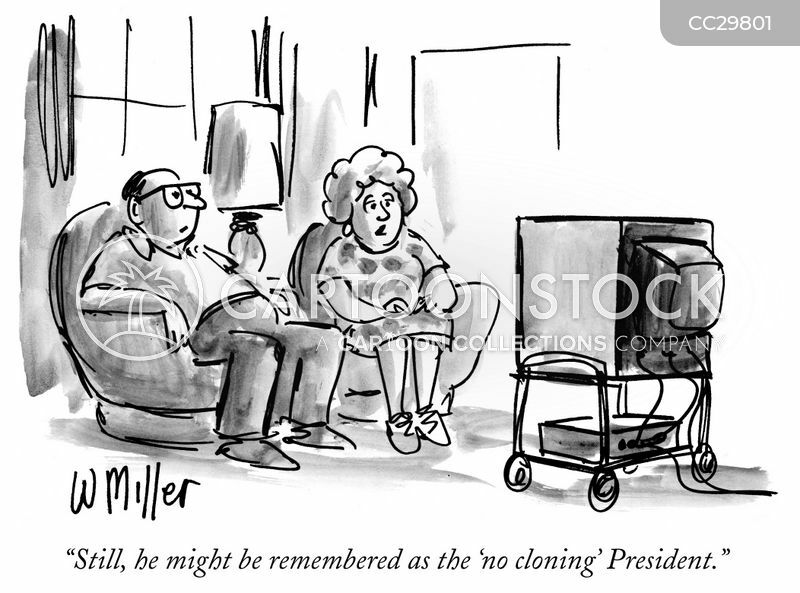 "We don't mind the clones watching 'Roseanne,' but I don't think they should stay up for Charlie Rose." 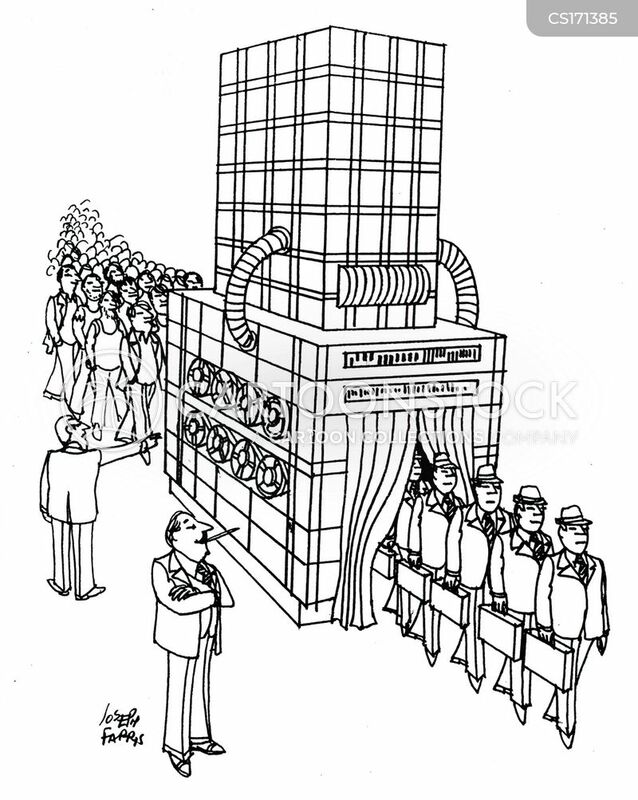 The Machine that transforms the mob in to the respectable. 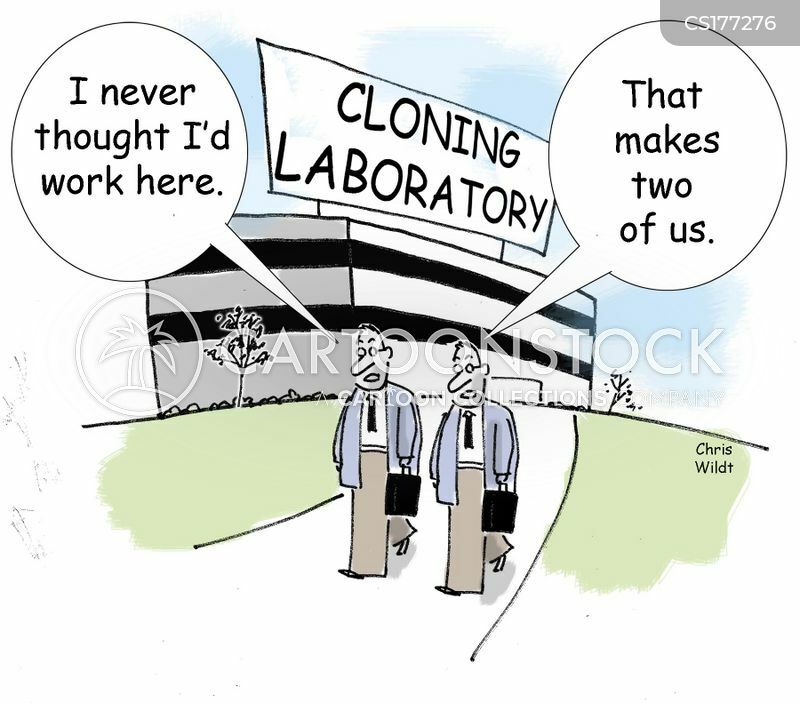 "Went in for a simple blood test and got cloned by mistake." 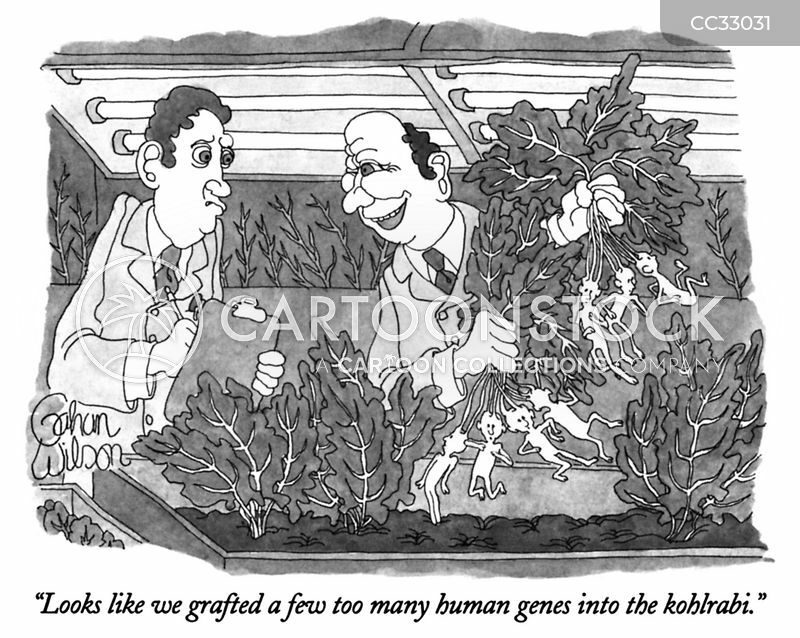 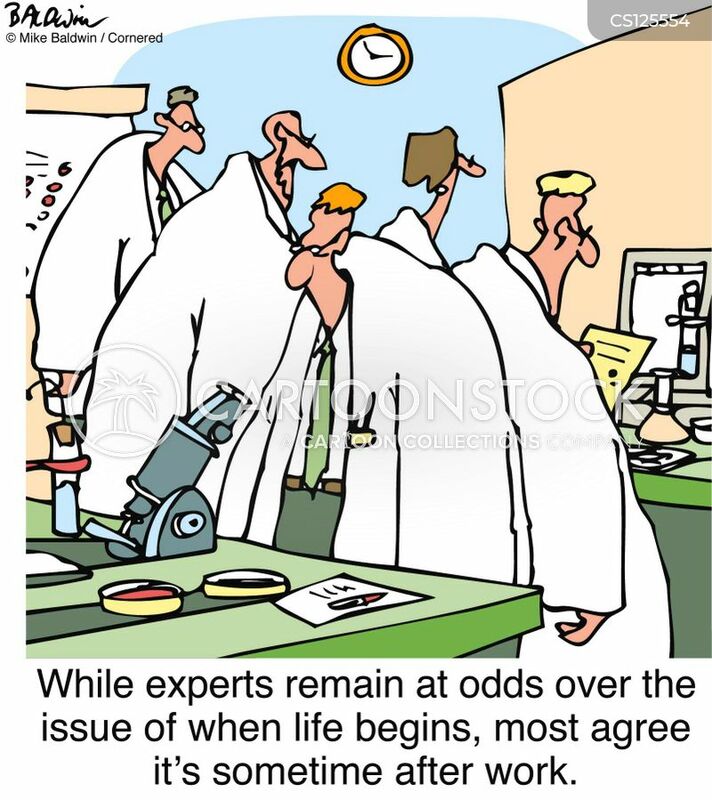 While experts remain at odds over the issue of when life begins, most agree it's sometime after work. 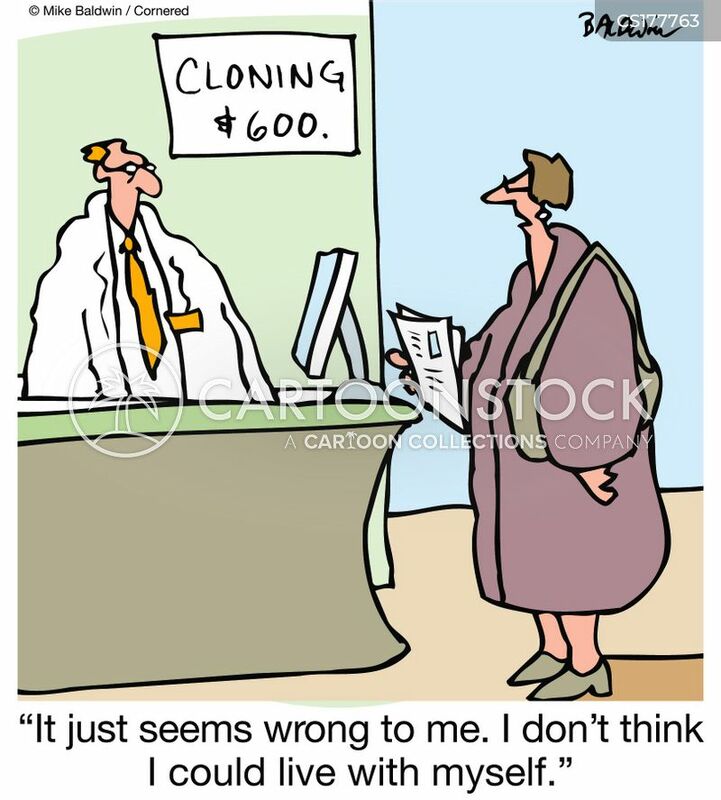 Cloning $600: "It just seems wrong to me. 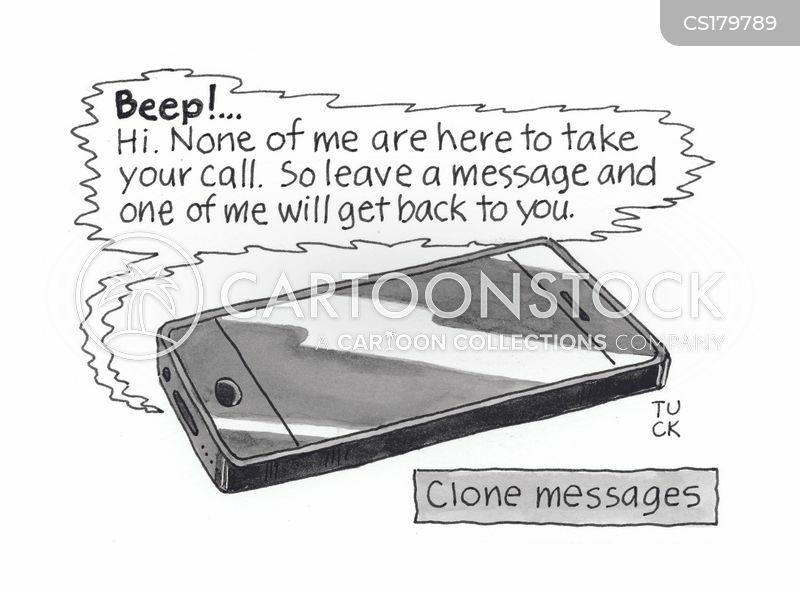 I don't think I could live with myself." 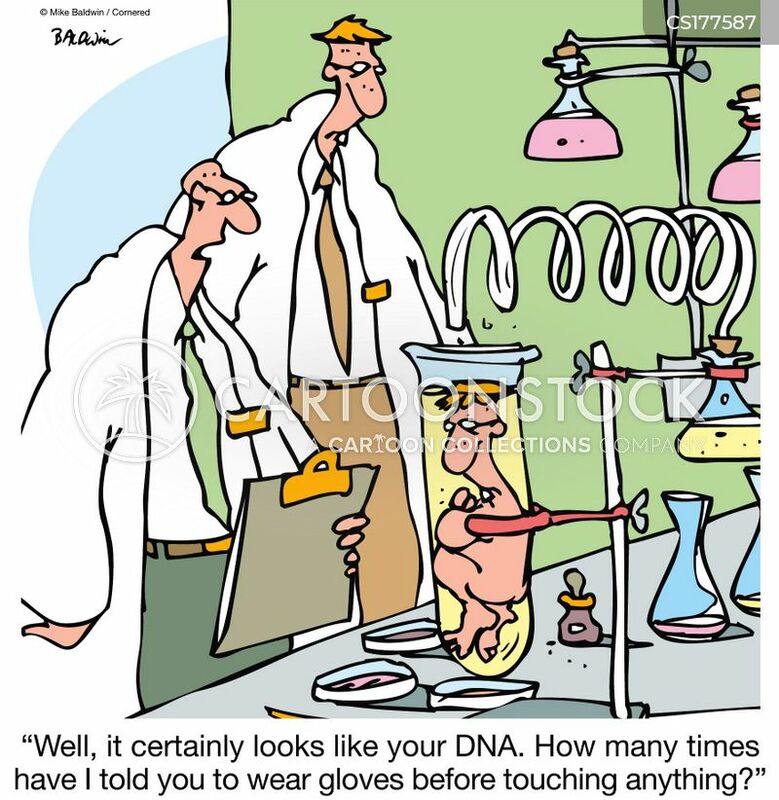 "Well, it certainly looks like your DNA. 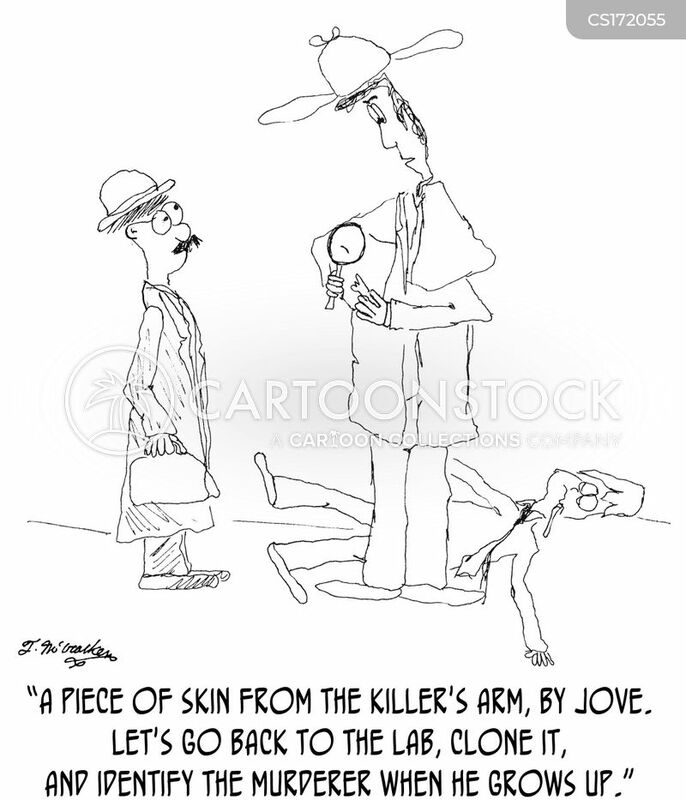 How many times have I told you to wear gloves before touching anything?" 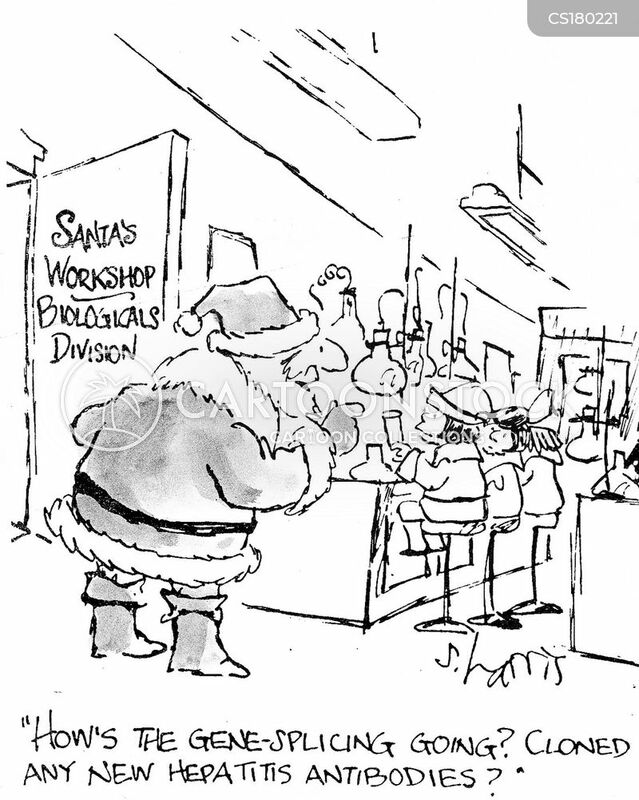 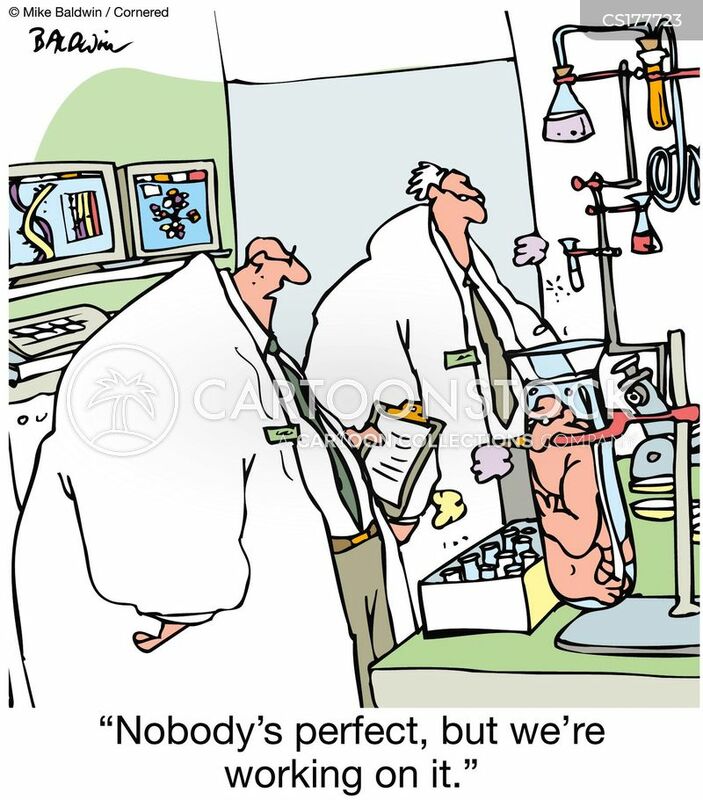 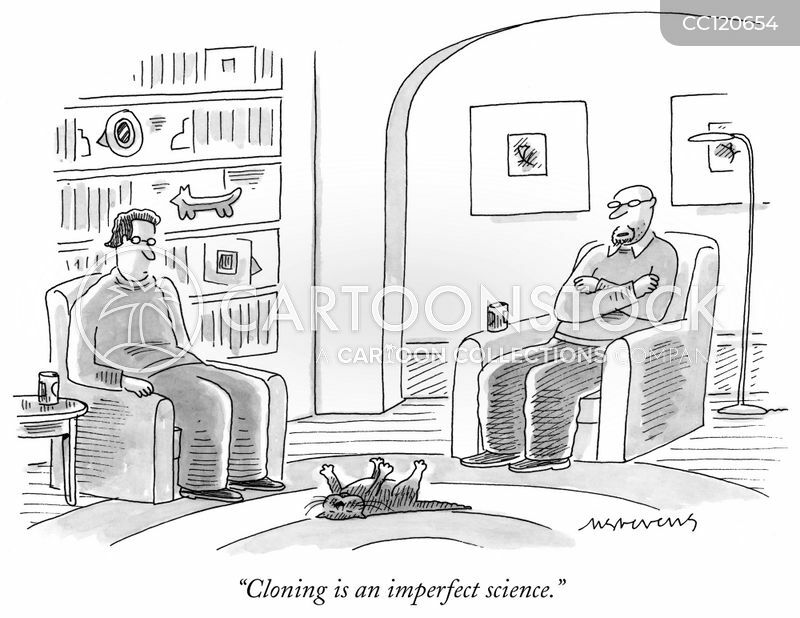 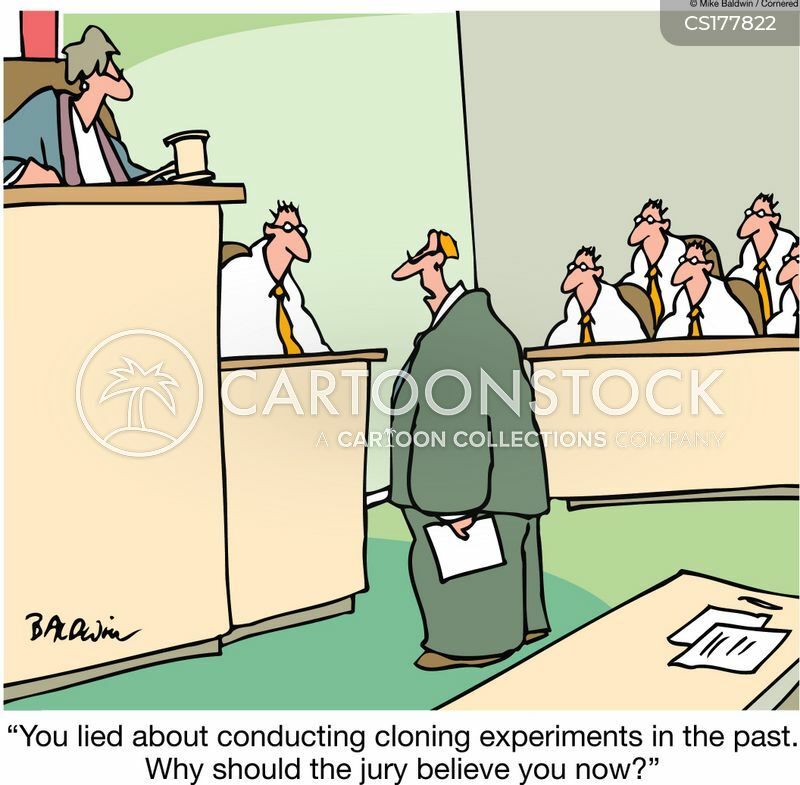 "Cloning is all very well in theory, but do you have any proof it can actually work?" 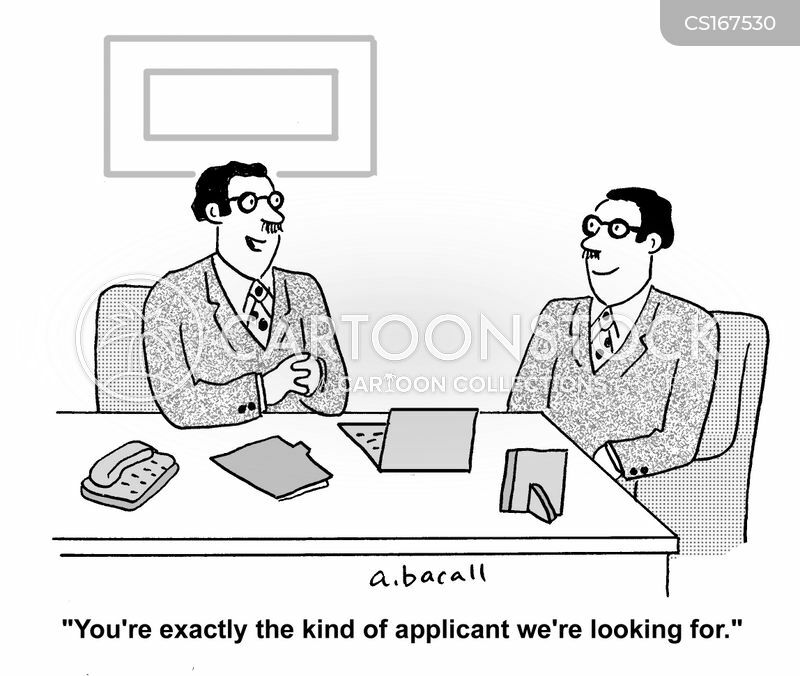 "Call the staffing agency and cancel. 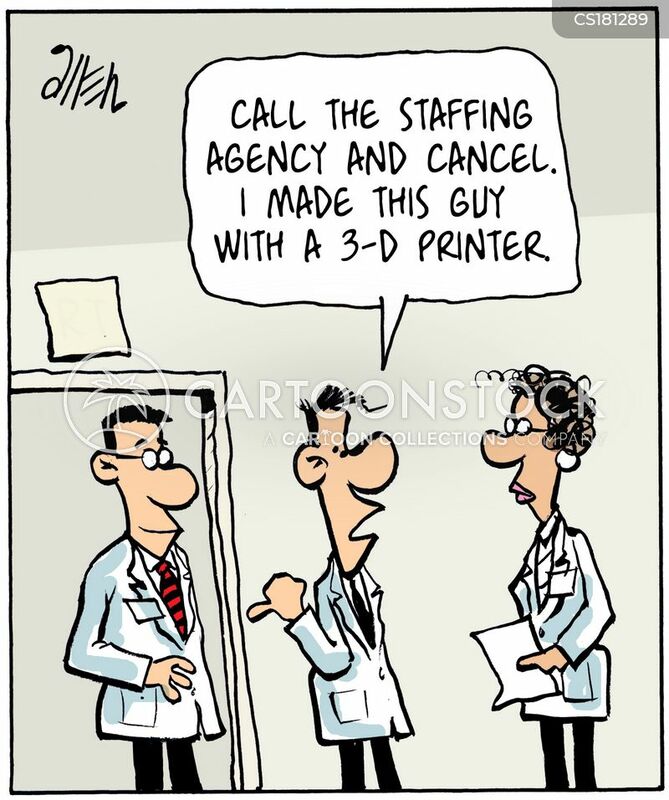 I made this guy with a 3-D Printer."